What Was Said or Missed in the FDA Opioid Policy Steering Committee Hearings? by Richard A Lawhern, Ph.D., as published in National Pain Report. Many years ago, a stand-up comic named Shelly Berman helped to immortalize a riddle told by Zen masters. “What is the sound of one hand clapping?” can have many answers. 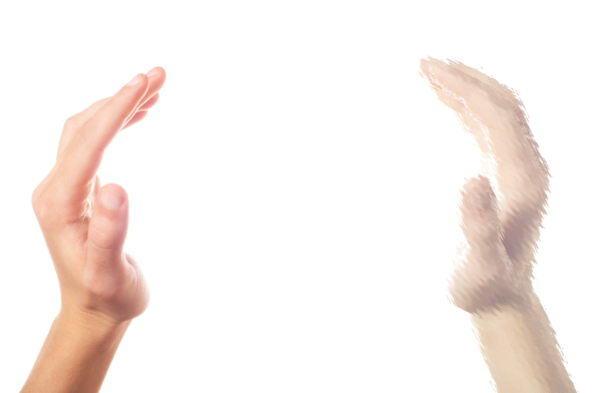 One might be that the sound of one hand clapping is silence…unless met by another hand. On January 30, 2018, I was one of about forty speakers before an audience of over two hundred, in public hearings of the US FDA Opioid Policy Steering Committee, at Silver Spring, MD. The Committee is composed of eight FDA senior department heads and Center directors. For once, pain patients were allowed to participate, along with medical professional societies, healthcare technology corporations, and a few partisans intent on obstructing all access to opioid pain relievers. The hearings were convened (the presiding officer told us) as a “listening session” to receive public input concerning eight questions. The FDA had previously announced eight questions relating to the implementation of an FDA “Risk Evaluation and Mitigation Strategy (REMS)” responding to the so-called “opioid crisis” in America. FDA is considering steps to more tightly regulate standards of physician and pharmacist practice in prescribing and reporting opioid analgesic use. At times during the day, I found myself shaking my head. Although the audience was discouraged from applause, some of the speakers also seemed not to connect hands – or ideas. The Committee itself was carefully non-committal. I heard four prevailing messages. Professional associations want to be consulted and to participate in shaping the REMS. Some speakers offered specific ideas concerning how FDA might better regulate medical access to opioids. Corporate players want a “piece of the pie” of government contracts for integrating patient treatment data that now resides in 50 separate State Prescription Drug Monitoring Programs (PDMPs). One surprise was that a substantial amount of integration and data sharing has already occurred in multiple over-lapping programs funded under Federal grants. Anti-opioid partisans implied that nobody should ever need an opioid pain reliever and that those who are prescribed such medications are instantly at risk of opioid dependence and addiction. These presentations were dominated by strong emotions – and regrettably few facts. My presentation responded with a “not only no, but HELL no.” The CDC and Veterans Administration have already killed hundreds of patients with their scientifically unsupported risk threshold. Their 90 MMED nonsense has widely been interpreted as a statutory limit on opioid prescribing. Above this threshold, doctors are at risk of being persecuted out of practice by DEA and State authorities. The Veterans Administration is trying to get rid of opioids altogether. Don’t make this mess worse! In this context, the position of the American Academy of Pain Medicine was significant. They also oppose risk thresholds, as well as expressing concern over documentation that would be routinely imposed upon doctors who choose to exceed any specified dose level on behalf of their patients. A speaker from a different organization declared that if opioid prescription practice standards are to be updated, then the task should be left to professional Associations and Academies in each medical specialty, not with the FDA. There is no one-size-fits-all pain patient. Several questions on REMS implementation concerned requiring doctors to access and provide patient data to a unified National Prescription Drug Monitoring Program. Doctors expressed concern that State PDMPs are time-inefficient and interrupt doctors’ workflow. No one wants to have to upload real-time data to any PDMP unless burdens can be reduced on doctor workload. However, there was another interesting example of the sound of one hand clapping. Not once did any speaker identify how many cases of doctor shopping or drug diversion have so far been detected by existing State PMDPs. No one talked about false alarms and how they might turn away desperate patients at pharmacies which deny them refills. Failure to address these fundamental issues is already causing grievous harm. Several questions on REMS implementation focused on diversion of opioid drugs from home medicine closets. It was generally acknowledged that many people with addiction first begin with pills prescribed to others; they haven’t themselves seen a doctor. Speakers suggested measures that might encourage patients to turn in unused medication and store essential medications safely. But again, a basic patient concern was largely unheard. Few seemed willing to speak the truth that medical exposure to opioids among patients treated for pain plays a relatively minor role in our ongoing “crisis”. FDA is in danger of over-regulating 100% of pain management practice to reduce addiction and overdose risk among relatively few – possibly less than 2%. 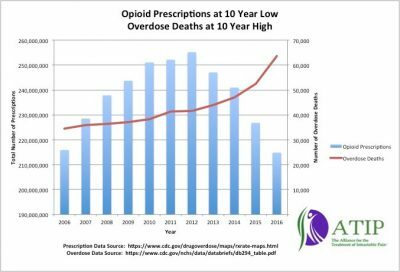 It is also clear from CDC data that restriction of opioid prescriptions isn’t reducing overdose deaths. In fact, deaths are rising. As I outlined and others reinforced in the session, we now know that major assumptions enshrined in the CDC opioid guidelines are unsupported by medical evidence. In a landmark study published this month by the British Medical Journal, over 660,000 opioid-naïve patients were followed for an average of 2.6 years after being prescribed opioids for surgery pain. Only 0.6% were later diagnosed with opioid abuse disorder or overdose. Fewer than 1% continued renewing prescriptions 13 weeks after surgery. Vulnerability to opioid abuse was much less sensitive to dose levels initially prescribed than was claimed in the CDC opioid prescription guidelines. The many errors in the CDC document would justify a major rewrite, even if the record of death and destruction visited upon pain patients did not. Let us hope that the Steering Committee, the CDC, and the DEA will listen to the sound of two hands clapping among patients and their advocates. Readers may contribute to this result before March 16, by commenting through the Federal docket page at https://www.federalregister.gov/documents/2017/12/13/2017-26785/opioid-policy-steering-committee-prescribing-intervention-exploring-a-strategy-for-implementation. Tell the FDA about your own experience in being coerced to taper down medications, or refused medication renewal by pharmacists.